Electric Motors in Industry: Do Your Employees Need Safety Training? NTT Inc. - Electric Motors in Industry: Do Your Employees Need Safety Training? The global market for electric motors is constantly growing and showing great applicative maturity. These components allow a conversion of the technological evolution into mechanical energy to satisfy the diverse range of requirements, from the small appliance to big plants. The electric motor has numerous components that use electromagnetic field to produce mechanical energy. They come in diverse configurations and sizes. Some electric motors have the power to drive the entire motor vehicle but others are tiny that they can fit well in some of the smallest electronic devices. Because of their efficiency and durability, electric motors are used in an incredible assortment of roles and are among the most efficient modes of generating mechanical energy. How Does an Electric Motor Operate? Electric motors work on a very reliable and simple principle. A force is produced when a current is introduced into a magnetic field. The motors use looped wires positioned at right angles to the magnetic field in the electric motor. Each end of the looped wires is shifted in a different direction due to the fact that magnetic field has dual polarities. This helps in creating turning motions. To control Torque, several loops are added to the armatures and an electromagnet produces the magnetic field. This design makes it easy for the rotor to be turned by a simple electromechanical force. During this process, very few parts experience any wear and with those two aspects combined, it is possible for electric motors to continue running for a long time while showing very little or no wear. Electronic motors and drives are utilized in many industries including but not limited to marine, oil and gas, power and energy, cement, mining, metals, water and wastewater, pulp and paper. End users are finding it hard to maintain a constant, steadfast operation while at the same time keeping costs under control, due to the ever-increasing demand for electric motors. Nonetheless, the reliability of motors has achieved eminence over upholding lower operation costs. These assets require regular servicing to increase uptime and prolonged life cycle. Electric motors are utilized for heavy-duty applications like steel rolling mills, electric locomotives, hoists, cranes and lifts thanks to their high starting torque and variable speed. They can also be used for driving compressors, large refrigerators, rotary presses, variable head centrifugal pumps, textile machinery, crushers, shearing machines, punches, reciprocating pumps, and elevators. Moreover, they work well in dynamic braking and reversing applications, which are common in several industrial machines. Most industrial applications require the motor to run at continuous speed without acceleration and deceleration ramps. What’s needed is the simple on-off control using contractor, overloads, and circuit protection fusing. Both DC and AC motors are suitable for running continuous rolling mills, motor generator sets, paper and cement industries, and ammonia and air compressors. 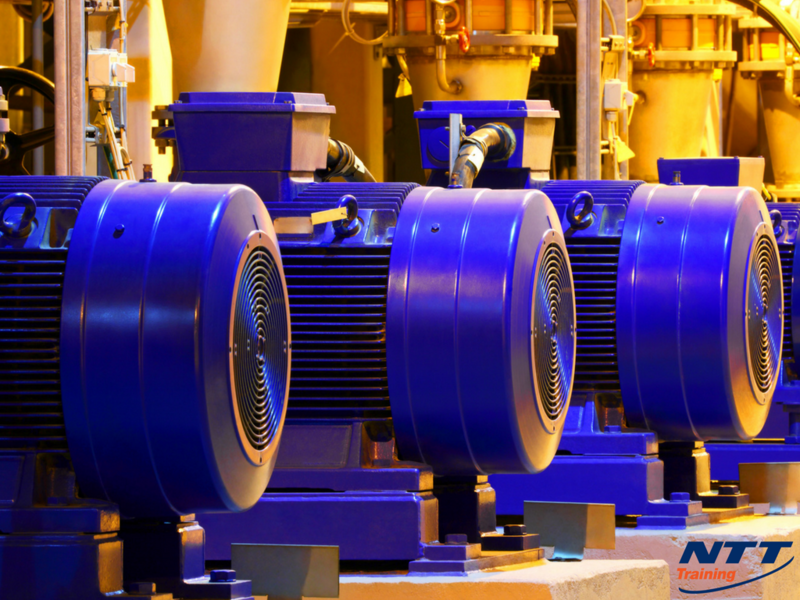 Industries are able to increase energy efficiency by controlling the speed of centrifugal pumps, fans, conveyors, mixers/agitators, and many other loads. This is a primary role played by the electric motors. Furthermore, the aptitude to manage acceleration and deceleration may assist in handling product better and decreases mechanical problems by being moderate on both the motor and drivetrain of the system. Variable speed achieved through the application of electric motors is used in heavy duty applications such as hoists, steel rolling mills, electric locomotives, and cranes. Beyond simple variable speed and constant speed applications is motion control. Electrical motors are used in executing accurate position control and implementing motion profiles with closed-loop control. Industries that greatly benefit from position control include those that deal with conveyor belts, mixers, cranes, compressors, printing, pumps, and winding machines. Electrical motors must be handled with absolute care and attention. Electrical motors run at high voltage and any interference can be catastrophic. Bodily contact running electrical motors can cause cuts, cardiac arrest, burns, muscular spasms, and even death. Electric motors can also result in explosions, especially when exposed to gas leakages, mechanical rubbing, interruptions in the circulating current, high internal or external surface temperatures and failure of the cooling fan. Workers who operate and work around the motors must comply with International Safety Standards, which addresses how exposure to different types of hazards can be prevented. They should learn the basics of operating electrical motor are supposed to equip themselves with the basics of motors and how to maintain and troubleshoot common problems experienced or present at the workplace. If you’re an employer interested in equipping your employees with formal safety training to help them remain safe as they operate and work around electrical motors, consider NTT Training’s Seminar on Electric Motors: Understanding and Troubleshooting. Please, get in touch with us today to learn more about the seminar.